Atlas Honda has come up with another amazing model. I must say that the company never fails to come with out of the box products. Managing to come up with something that hooks customers to the brand. Yet another latest product by Atlas Honda is Honda Pridor 2019. honda 100 Pridor new model 2019 is one of those bikes which will captivate you due to its exterior. The overall look of the bike is sporty. They have made Honda Pridor problems 2019 a fun bike with features which are not boring. Also, the features which have a proper thought process behind. Apparently, it does look like that the main target market of Honda 100 Pridor 2019 is young generation. Since the bike looks powerful and sporty. What makes this bike different is its broader fuel tank along with dramatic headlight cowling. Moreover, the passenger seat specifically is slight high in comparison to rider seat. The bike also has seat bar for added convenience. Also, the silencer of the bike is black painted muffler exhaust with garnish. Other than traditional red color, the company has also introduced honda Pridor 2019 black in color. Nonetheless, slightly raised back mudguards along with cowling for backlights give Honda 100 Pridor an exaggerated look. Personally speaking, I like how the bike looks like its sleek and smart. Soothing the thirst for style for young adults. At the same, its practical and can work as an everyday transport mode. On the contrary, the price of Honda Pridor 2019 is not a disappointment either. It’s not cheap but I must say its value for money. 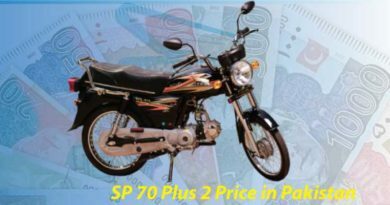 Honda 100 Pridor 2019 price in Pakistan is PKR.87000. Along with free service and three years engine warranty which is indeed a lot and exclusivity of Atlas Honda. Let’s move on to the main and most important part of Honda Pridor 2019. Since I do understand that if the technical specifications of the bike are faulty, the exterior gets secondary. 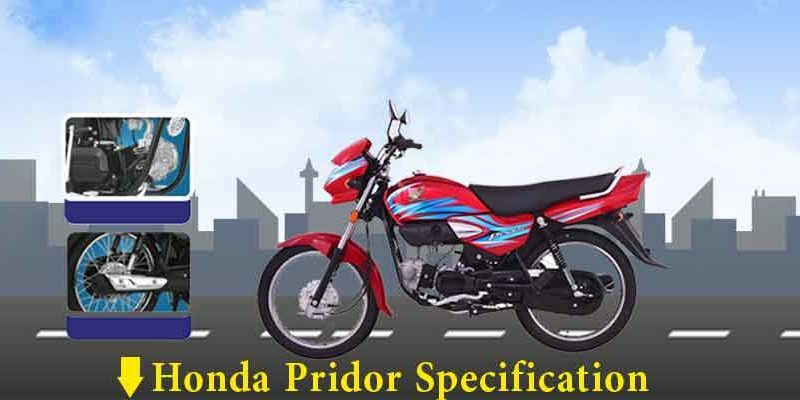 Honda Pridor specifications are quite sound the bike is given durable, 100cc 4-Stroke OHC Air-Cooled Single Cylinder. 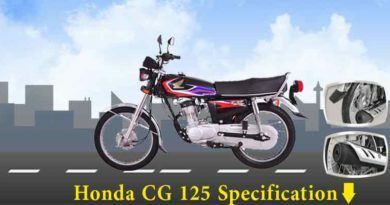 Honda Pridor 2019 is also given Econo power engine. 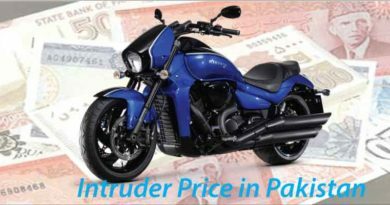 The bike is not only economical on the pocket in the long run but also, sound with euro II technology. Honda Pridor petrol average or mileage is roughly around 60kmpl. Honda Pridor 2019 is considered to be an extraordinary bike. However, at the same time, there are few issues with the bike. According to Honda 100 Pridor reviews ever since Atlas Honda switched to euro II technology there are few glitches in bikes. One of the major concerns is that the bikes are not as smooth running as they used to be. The dry weight of Honda 100 Pridor 2019 is 92kgs which I believe is appropriate for a 100cc bike but few people disagree.